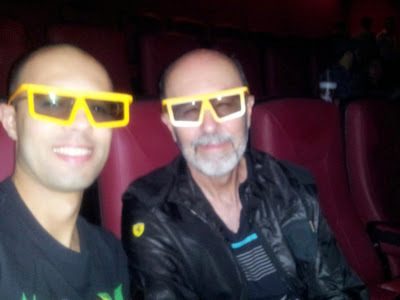 The last two times my father was here in the US we tried to watch an IMAX movie but there was nothing good to watch. This time an amazing movie, Gravity, was up for IMAX 3D so we couldn't let the opportunity pass! Such a great movie with spectacular visuals, I definitely recommend it!